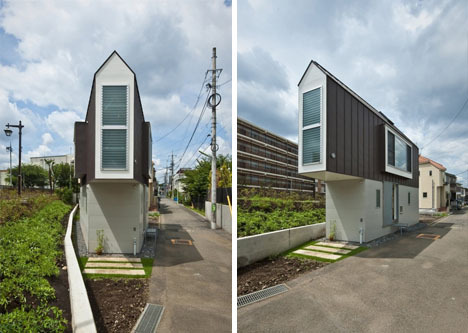 It could be home to a Japanese version of Doctor Who, this unusual space that strangely looks larger from the inside than an outside view would have it appear. 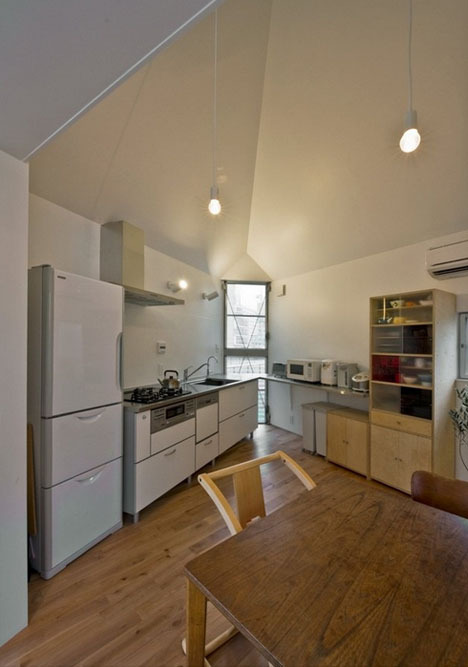 300 square feet can pose a construction challenge on any plot of land, but is a particularly complex puzzle on one that is shaped like a triangle. 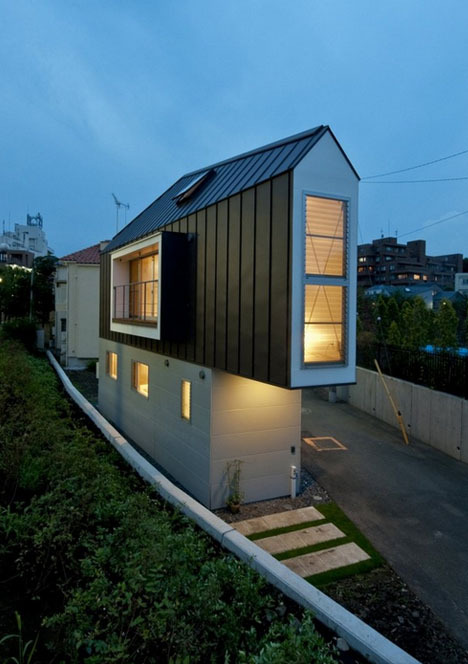 Every building code was scoured and rule bent to breaking to create this quaint little abode, bending and twisting in response to limitations of and opportunities allowed by rules and regulations of Tokyo, Japan. 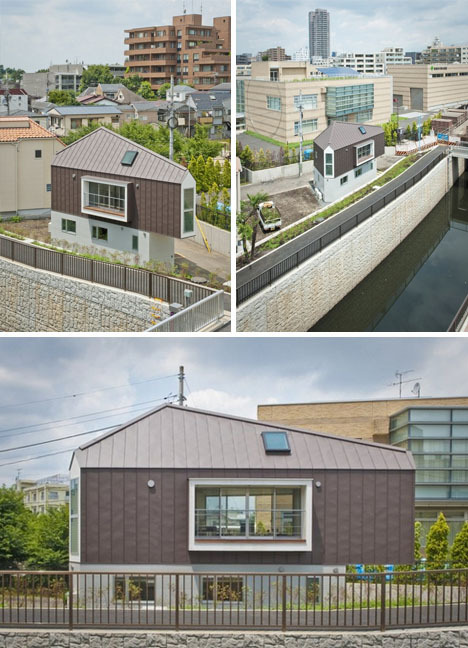 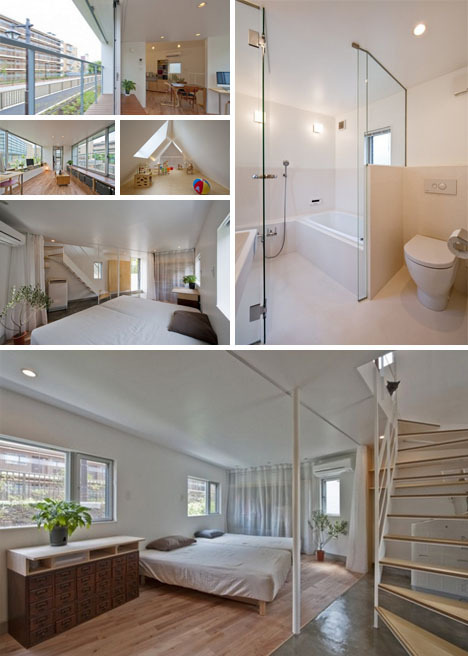 Mizuishi Architect AtelierÂ developed bump-outs, skylights and select double-height spaces to help alleviate the tension of awkward acute angles that converge in curious places inside and out. 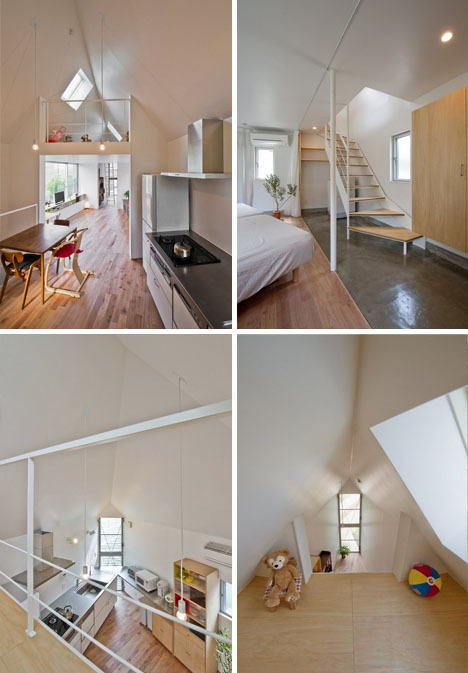 Higher ceiling in the entryway and a visual connection to the loft above make for a surprisingly open feel to the dwelling from within, an openness reinforced with white whiles and a bare minimum of decoration.